TORONTO, June 28, 2018 – Cloud computing offers so many benefits to accounting firms of every size. 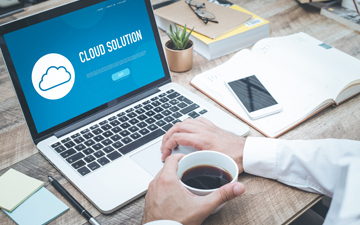 Cloud technologies can reduce your IT costs, improve your data security, provide real-time data and remote access, and integrate vendor software such as accounts payable solution WayPay. But with so many solutions and so little time, how can you reduce your learning curve and move your accounting firm to the cloud? Before you do anything, take a moment to review the technology requirements of your accounting practice. Identify where adopting cloud computing will make the most difference, provide the most improvements and get the most value out of your IT investment. For example, implementing an integrated A/P solution like WayPay allows you to easily manage all your client’s payables from one place, saving your practice considerable time and money. Or, if many of your employees work remotely, centralizing how you access files and business information will give you the flexibility and efficiency your business is looking for. Many practitioners are happy to connect and share their knowledge. While their technology needs may differ from yours, you can learn from their experience. What went well? What challenges did they face? If they had to do it again, what would they do differently? Gathering these insights will help to better prepare you to adopt cloud technology in your practice. Roberto Ramesar, CPA, CA, co-founder and chief executive officer of WayPay. Which cloud technology option should you choose? There are three types of cloud: public, private and hybrid. It’s important to get up to speed on each and to weigh their pros and cons. Based on the needs of your firm, it should become clear which option will work best for your accounting practice. Generally, public clouds are cost-effective but not as secure and private. Private clouds are costlier but have more customization options. A Google search will quickly tell you how many cloud vendors are interested in connecting with you. Take the time to evaluate and pick the option that is right for your business. Try not to focus solely on price because reliability, scalability and ongoing customer support are also important factors to consider. Many cloud computing tools offer a free trial or pay-to-play model. It’s smart to take the trial run and see how the platform fits and benefits your firm. If you make learning a priority and utilize the tool for at least 30 days, you’ll know enough about the technology to decide whether to roll it out. When you choose to deploy, start small and keep it simple. You can always scale up later when you are more comfortable with the solution and have a better understanding of how it can evolve with your business operations. Introducing a new technology process impacts everyone in your practice. It’s a good idea to take the time to explain to your team why you’ve chosen to adopt a new platform, how it impacts the firm and, most importantly, how it impacts them. Some employees may not see the immediate benefits of these changes. Providing a clear sightline on why your public practice is adopting new technologies will help them become believers sooner, with fewer disruptions in the transition from old to new. Take the time to address their questions and concerns prior to integration to set expectations. Communicate frequently throughout the adoption process to provide progress updates on process, timing and impacts. Maintaining transparency and an open-door policy will help facilitate a smooth transition. What about your future business needs? While you’re probably looking to address your current business needs, keep your future goals in mind to ensure that, as your accounting practice grows, you have the right technology solution that will scale with your business. Ask yourself questions such as ‘Where will my firm be in five years?’ ‘Do I plan to grow?’ ‘How?’ ‘Will I need more employees?’ ‘Will they work remotely?’ ‘Will I expand my locations?’ These questions will help create a defined framework to ensure that the IT solution you select will meet the needs of your business today and as it evolves over time. Doing your due diligence and addressing the areas outlined in this article will help you meet the needs of your practice today and for many years to come. 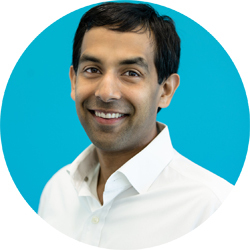 Roberto Ramesar, CPA, CA, is a co-founder and chief executive officer of WayPay, a business payment solution that integrates with QuickBooks, Sage and Xero.